Cats Abbey is gaining a reputation as an excellent business venue. 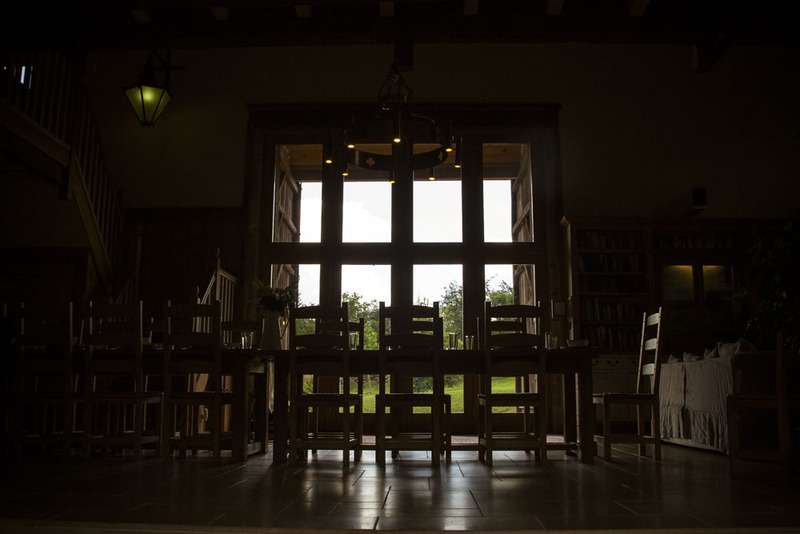 Our beautifully converted Barn has much to offer in contrast to the typical hotel venue. You have the whole place to yourselves. There are no other guests, nobody else wandering around, and total privacy is assured. The country-house feel is so much friendlier than a hotel. Our 10 en-suite rooms located in the Barn are beautifully fitted out, and the Barn feels like a home from home. We are in the heart of the country, with no noise, light pollution or interference. In addition, there are a further 5 "en suite" bedrooms located in our adjoining studios and a further 2 bedrooms in our self-contained cottage. The Cotswolds are very central and accessible, and one of the prettiest areas. We are about half way between Oxford and Cheltenham, just off the main A40. Heathrow to Cats Abbey is about an hour by car. There are also regular trains from London Paddington to Charlbury (25 minutes taxi drive away) or Cheltenham (30 minutes away). We also have a stunning view over the Windrush valley. We have the space for you to have break out groups. We also have flip charts and projector facilities for you to hook your computers to. We can provide anything you need, and it is just for you. We can be flexible about timings, so if a session overruns, we will adjust to suit. An evening dinner is a perfect team-building process. We can provide in-house catering, or you can bring in a chef of your own. We also have a list of cooks and caterers who have worked here. Companies that have used Cats Abbey have all commented on how much the venue improved the quality of the outcome. The comfortable and relaxed atmosphere, with personalised service, has helped groups to concentrate on the objective, and achieve the results they wanted. Call us to discuss your needs, and we will tailor a package to suit, at a price no more than a hotel, but superior in every way.